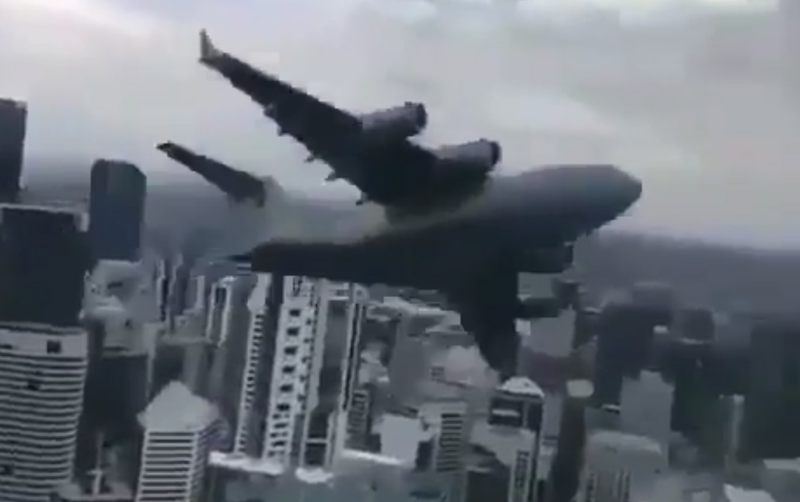 An Royal Australian Air Force C-17A Globemaster thrilled locals in Brisbane last week when it approached the city’s skyline for an announced “flypast rehearsal" at an altitude of only 100 meters. The practice run was in preparation for Queensland’s 21st annual “Riverfire,” an event the Brisbane Times called the area’s “largest annual public celebration,” and one featuring EA-18G Growlers and the Roulettes, the RAAF’s formation aerobatic display team. While Dwyer was snapping photos in one location, employees in another high-rise had an especially thrilling vantage point. Warning: The video contains strong language.